Is C5 right about YouView? 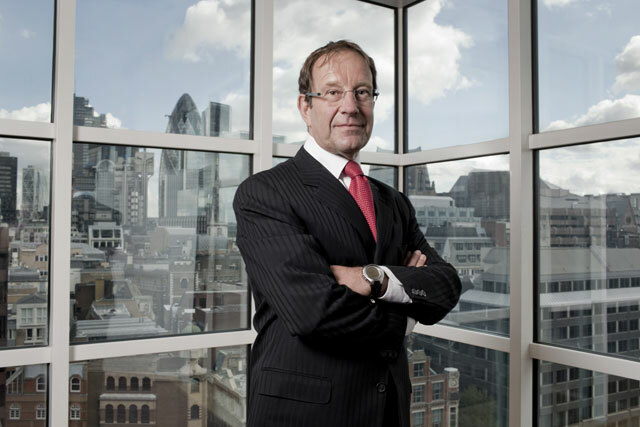 Is Richard Desmond's YouView optimism misplaced? According to the sort of gossip that will, given half a chance, harden up into industry mythology, Richard Desmond became rather animated at a YouView update meeting back in March. YouView's then chairman, Kip Meek, had invited the project's major stakeholders (including Desmond, who's the boss of Channel 5's owner Northern & Shell, plus the BBC director-general, Mark Thompson, and the Channel 4 chief executive, David Abraham) to hear the good and bad news that was, on reflection, almost entirely bad. The project's launch, planned for autumn 2011, would have to be delayed until the second half of 2012. Apparently, there was an awkward silence. And then Desmond expressed an uncharitable sentiment. Not once. Not twice. But many times, with increasing emphasis. Abraham blushed; Thompson turned a whiter shade of pale. Meek went into hiding soon after. And that, some observers assumed, was that. No-one would have been surprised a couple of months ago if the project, which seeks to persuade the UK population to invest in set-top boxes delivering a (rather ill-defined) new take on cable TV, had begun to unravel. Some commentators said it would not be surprising if Desmond sought to reconsider his commitment. But there he was last week, declaring undying love of sorts. The project, he stated, was set to redefine the TV distribution business - at the expense of the market's current leaders. "YouView is probably going to be the biggest thing (in) TV since Sky launched," he averred. Can he be serious? David Cuff, the founder of the digital media consultancy Cuff Media confesses he's rather sceptical. He suspects that YouView may have missed the boat. There's just too much competitive noise out there, he suggests: "Look at how the TV platform market has evolved - you now have BSkyB, Virgin Media, BT Vision, Freeview, Top Up TV and even the likes of PS3 and Xbox. There's some potential for getting Freeview households to trade up but, by and large, people have already made a decision about the services they like. So it's difficult to see YouView becoming in any way comparable to Sky." And he doesn't really buy the argument that YouView will be able to market itself as "next generation TV". He explains: "The horse has bolted as regards internet TV too. On the one hand, you have the set manufacturers such as Sony, Panasonic and Toshiba already producing sets that allow you to access the internet if you want to. And on the other, you're seeing people already forming habits with regard to using internet devices as second screens while they're watching TV. Do I believe that many will disconnect their existing boxes and get a YouView box? I don't think so." But Marco Bertozzi, the managing director, EMEA, at VivaKi Nerve Centre, says it's still too early to make a judgment. He explains: "On the one hand, YouView's backers will be able to provide an attractive line-up of content. On the other, this will become an increasingly competitive market with BSkyB, Virgin Media and others all working hard to win viewers over. And individual manufacturers have developed internet-enabled TVs that house things such as iPlayer. This makes life difficult for a new entrant, especially if its development is behind schedule." Even more difficult, one might assume, if the project's backers don't really understand basic technical issues. Nigel Walley, the managing director of Decipher Media, says Desmond sometimes betrays a schoolboy level of misunderstanding - something you wouldn't expect in a graduate just joining the industry, let alone a media owner. For instance, Desmond seems to think it's going to be possible for viewers to purchase advertised products directly off the screen - and that just isn't going to be an option in the near term. Walley adds: "YouView is going to be a very good, but reasonably simple, product - and this perpetual over-egging of its capabilities is beginning to sound desperate." Meanwhile, Oli Newton, the head of emerging platforms at Starcom MediaVest, concedes that, when the project was unveiled in 2007, it made some sense - but with every day that passes, the opportunity diminishes. He concludes: "YouView will offer a plug-and-play approach to living-room internet TV but it will have to compete with many other devices. By the time it launches, if it ever does, we're likely to see Apple TV and Google TV devices out there. I hope I'm proved wrong, but I'm not sure it will be relevant even if it launches." "People have already made decisions about which set-top box they prefer - and manufacturers are already producing sets that allow you to access the internet. I don't think many will disconnect their boxes to get a YouView box." "YouView will no doubt be a great service and be very convenient - so it may stem some of Sky's growth. But does it replace what users get from Sky? I don't think so. I want YouView to succeed - but it needs to get a move on." "Desmond is clearly second to none in his understanding of print media. But his grasp of TV technology and consumer propositions is shockingly poor. From what he has said, I am not actually sure he has seen or understood his own product." "YouView made sense in 2007 but, every day, it becomes less relevant. This market moves so quickly. Now, even non-tech-savvy families already have maybe three devices on which they access online video content."